One hundred and ten years ago we were beginning to see the first signs of office automation. 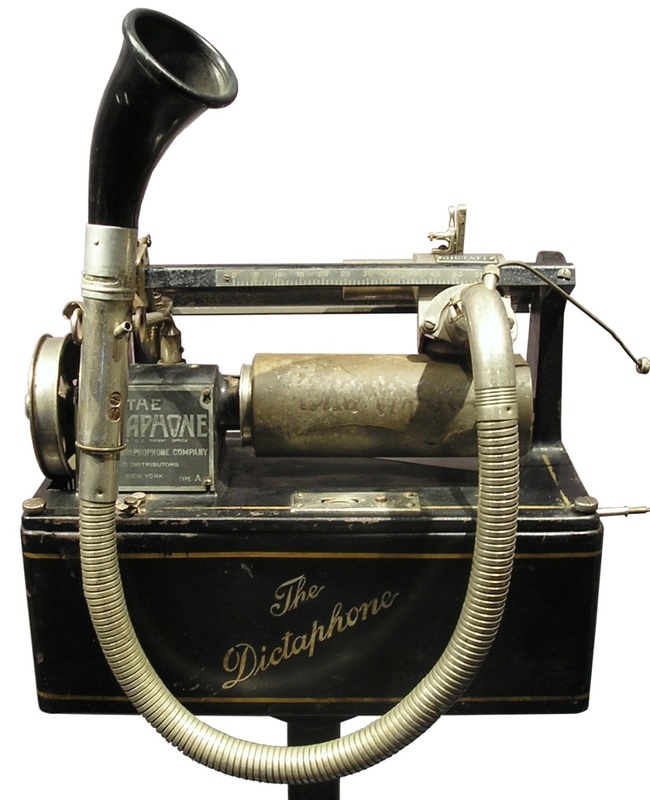 That year brought us not only the Photostat machine but also saw the creation of the Dictaphone Company. For millennials, Dictaphone made machines that you could dictate speech to, typically so that it could be typed up by a personal assistant. The word “Dictaphone” became generic, although the trademark was actually created by a spin-off of Columbia Records. Although the type of machine most often called a “Dictaphone” will tend to be a mini cassette recorder, back in 1907 Dictaphone machines used a waxed cylinder which was by then almost obsolete, having been out-competed by vinyl discs. The big advantage of a waxed cylinder over a disc was that it could be re-used, assuming you had a special machine to shave the top layer of wax off. Of course these days we expect that even leaders of nations do their own typing, but back in the early 20th Century those leaders (usually men) would delegate such tasks to their secretaries (usually women). Thankfully in the early 20th such sexist archetypes are a thing of the past. The original Dictaphone machines were huge, but technology (especially cassette tapes) made them smaller and smaller. So small that eventually the brand vanished after a series of takeovers and divestments. Today the Dictaphone where it is largely relegated to speech-to-text systems aimed at corporations and hospitals, and is owned by speech applications specialists Nuance Communications. 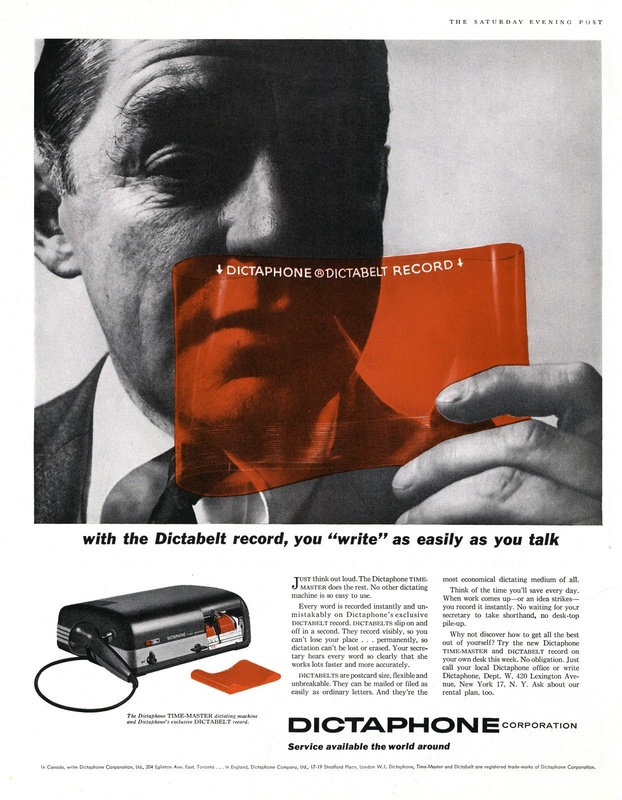 You can still buy dictating machines, some even call themselves “Dictaphones” because somewhere along the way the trademark became genericised (as with the Photostat) but you can’t actually buy new Dictaphone Dictaphones. Original early twentieth-century machines belong in a museum, but post war models are often available for collectors of office ephemera for less than €200 or so.